Tri-Met Gresham Parking Structure | Cary Kopczynski & Company, Inc.
Cary Kopczynski & Company teamed with a Portland architect and contractor to successfully compete for the Tri-County Metropolitan Transportation District (Tri-Met) Gresham parking structure in a tough design-build competition. Tri-Met manages Portland’s growing light-rail transportation system. 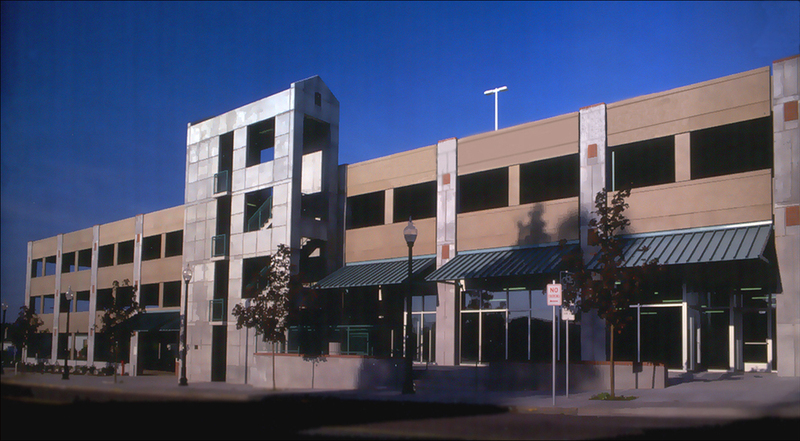 They desire that their parking structures be as open and user friendly as possible. CKC responded with a structural design utilizing internal ductile frames in lieu of the originally anticipated shear walls and reconfigured the structural layout in the proposal documents to create longer sight lines with fewer obstructions. To eliminate the possibility of structural vibration at the ground-level retail, CKC added small steel columns at the mid-span of each beam without interrupting the forming system. This further enhanced project quality and reduced cost.